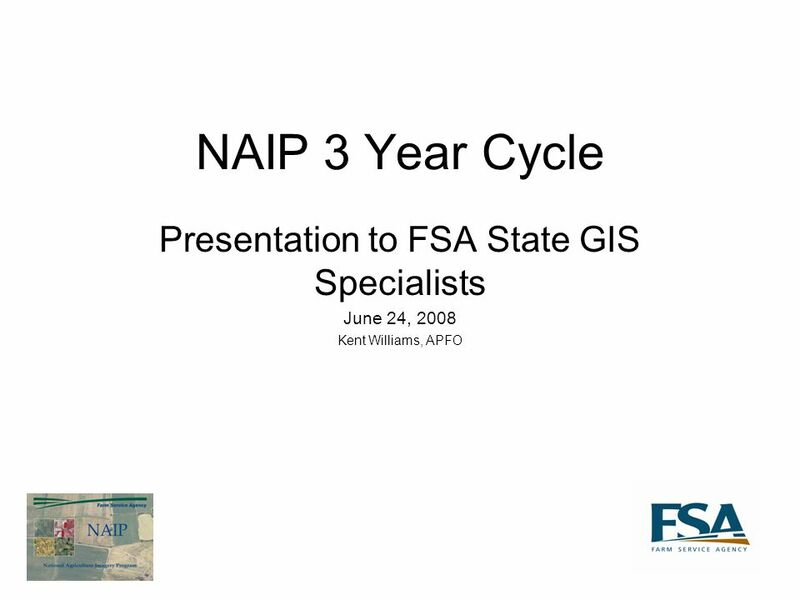 NAIP 3 Year Cycle Presentation to FSA State GIS Specialists June 24, 2008 Kent Williams, APFO. 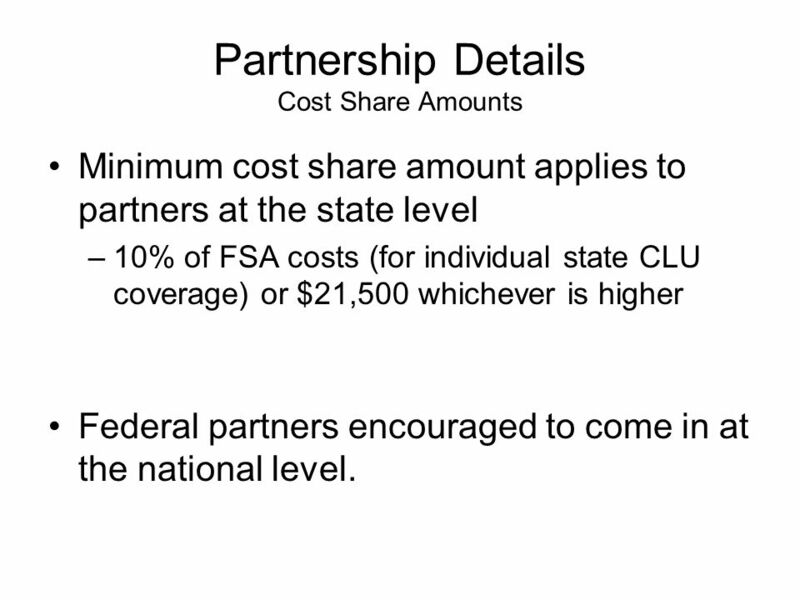 8 Partnership Details Cost Share Amounts Minimum cost share amount applies to partners at the state level –10% of FSA costs (for individual state CLU coverage) or $21,500 whichever is higher Federal partners encouraged to come in at the national level. 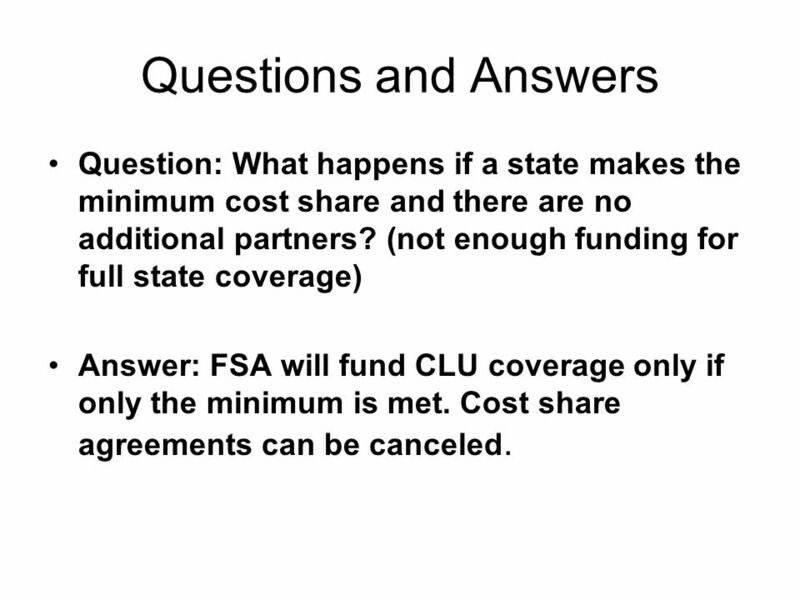 14 Questions and Answers Question: What happens if a state makes the minimum cost share and there are no additional partners? 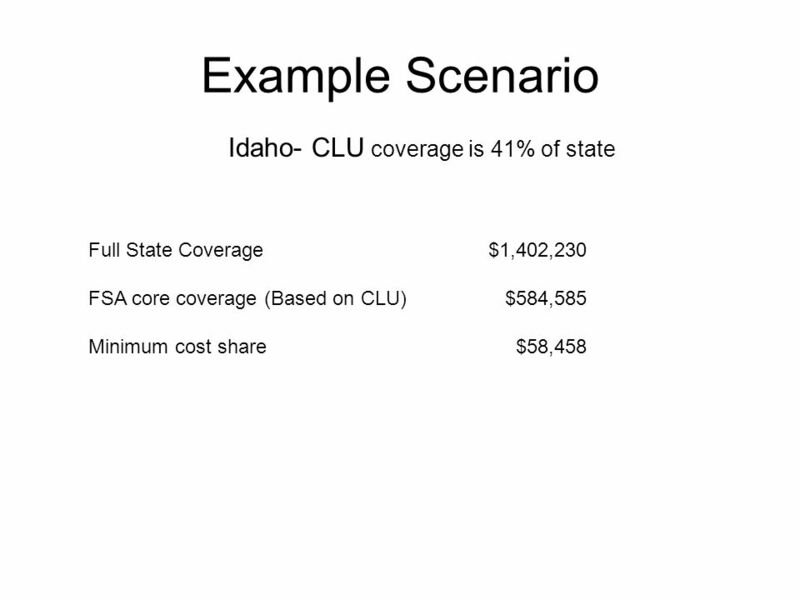 (not enough funding for full state coverage) Answer: FSA will fund CLU coverage only if only the minimum is met. 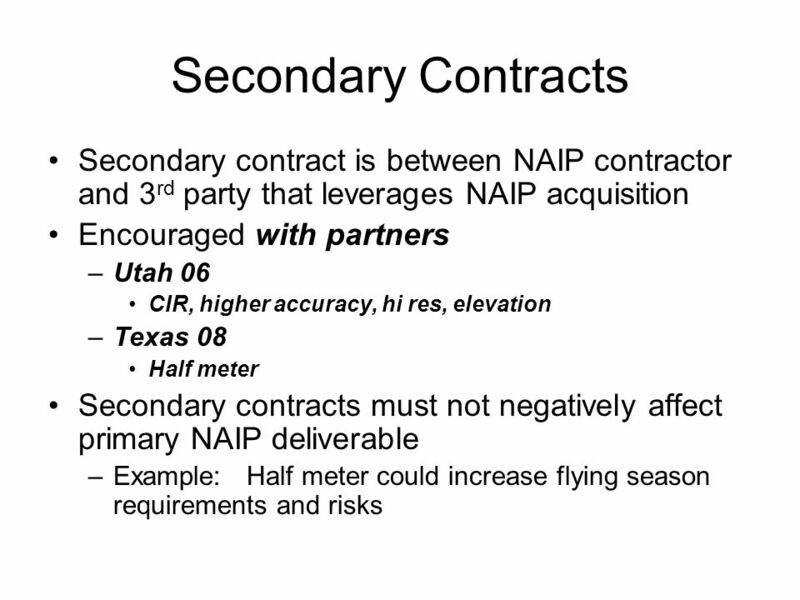 Cost share agreements can be canceled. 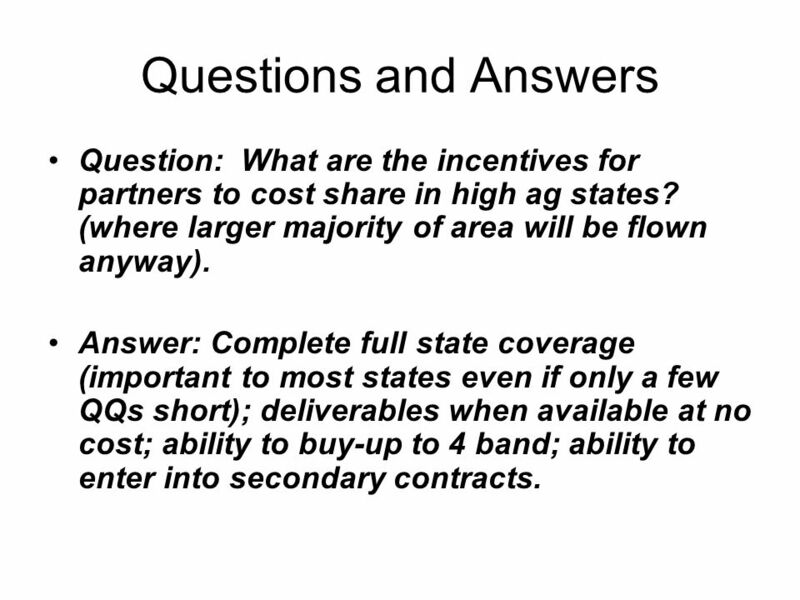 15 Questions and Answers Question: What are the incentives for partners to cost share in high ag states? (where larger majority of area will be flown anyway). 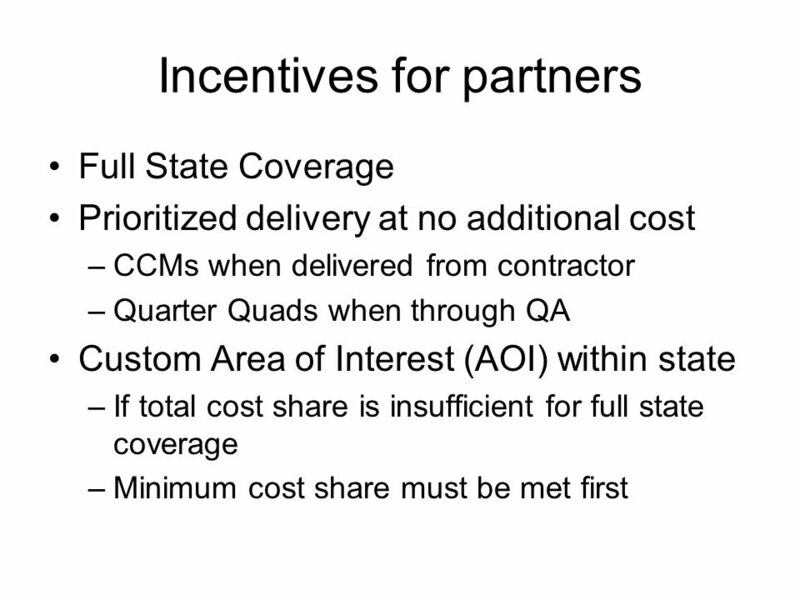 Answer: Complete full state coverage (important to most states even if only a few QQs short); deliverables when available at no cost; ability to buy-up to 4 band; ability to enter into secondary contracts. 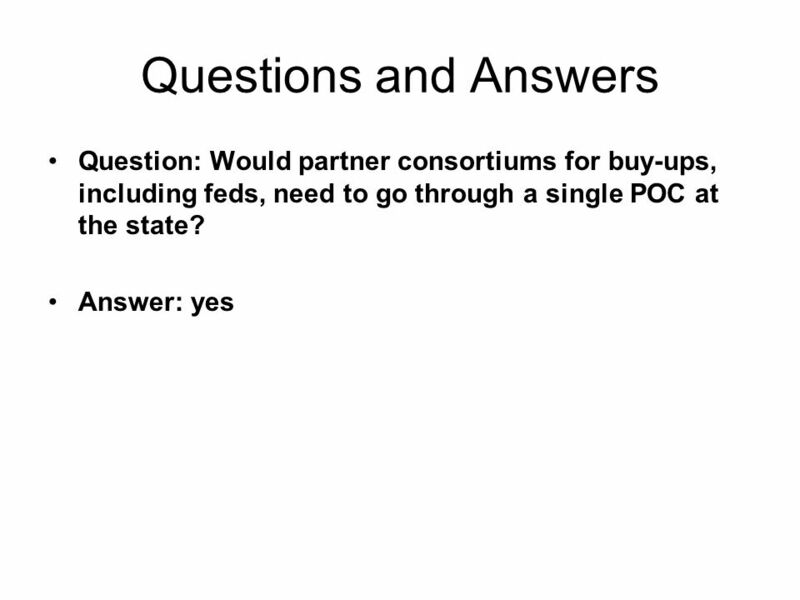 16 Questions and Answers Question: Will FSA contribute to off- cycle contracts by partners? Answer: No. 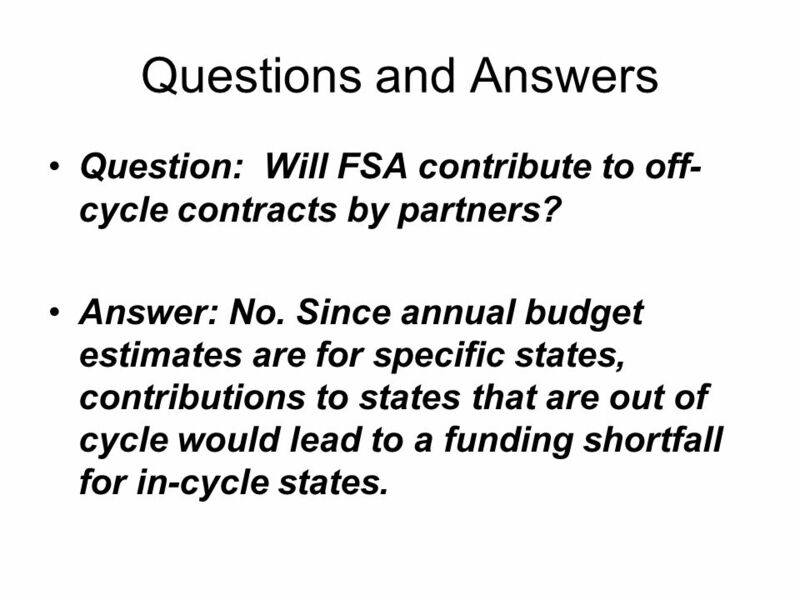 Since annual budget estimates are for specific states, contributions to states that are out of cycle would lead to a funding shortfall for in-cycle states. 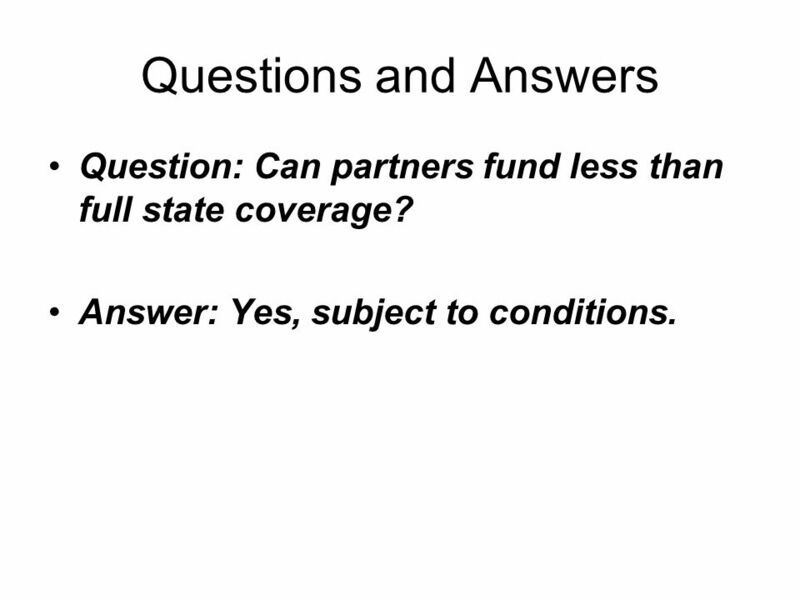 17 Questions and Answers Question: Can partners fund less than full state coverage? Answer: Yes, subject to conditions. 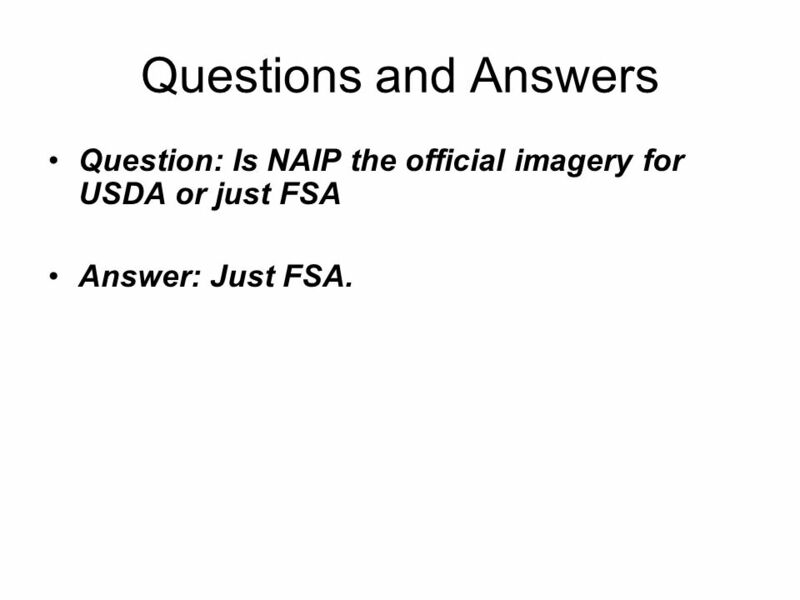 18 Questions and Answers Question: Is NAIP the official imagery for USDA or just FSA Answer: Just FSA. 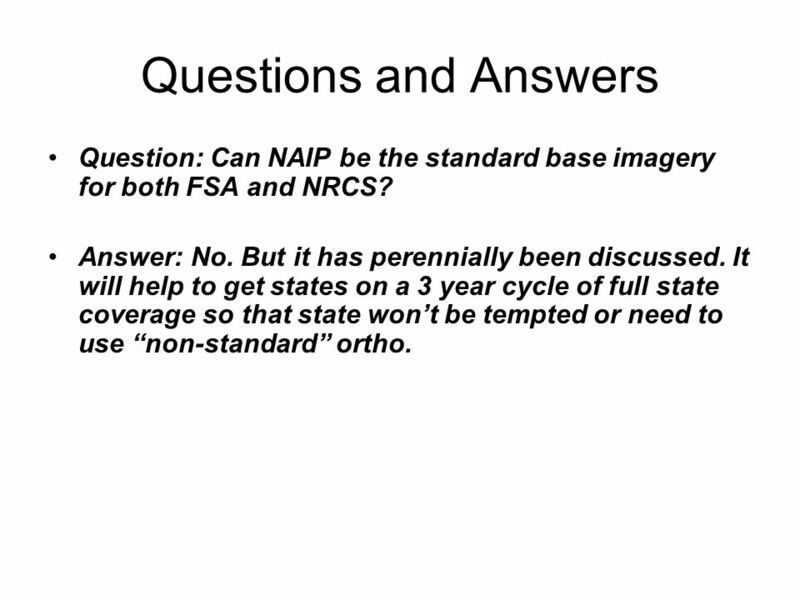 19 Questions and Answers Question: Can NAIP be the standard base imagery for both FSA and NRCS? Answer: No. But it has perennially been discussed. 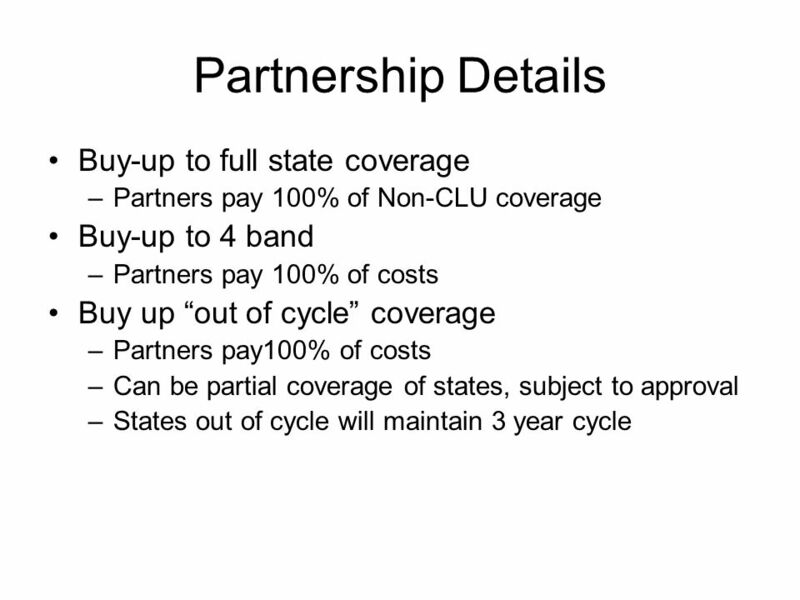 It will help to get states on a 3 year cycle of full state coverage so that state won’t be tempted or need to use “non-standard” ortho. 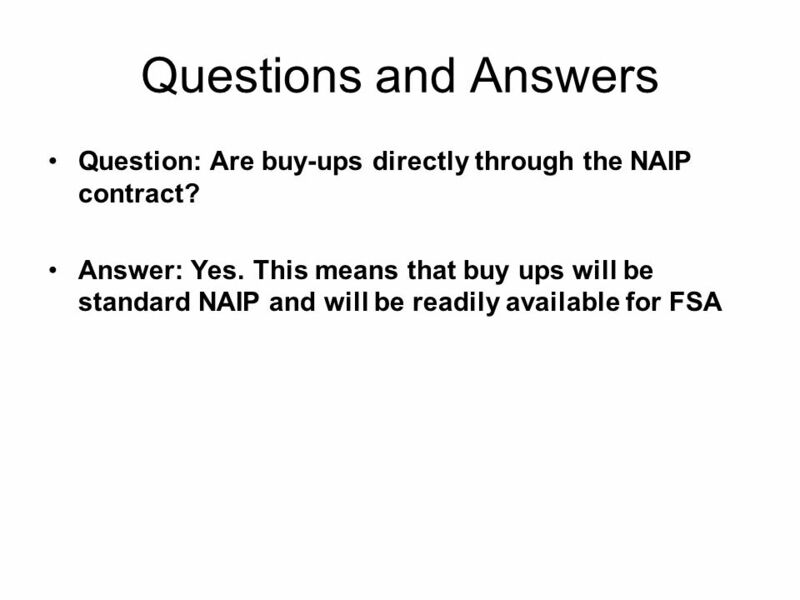 20 Questions and Answers Question: Can 4 Band buy-up be applied to AOIs (less than full state)? Answer: No. 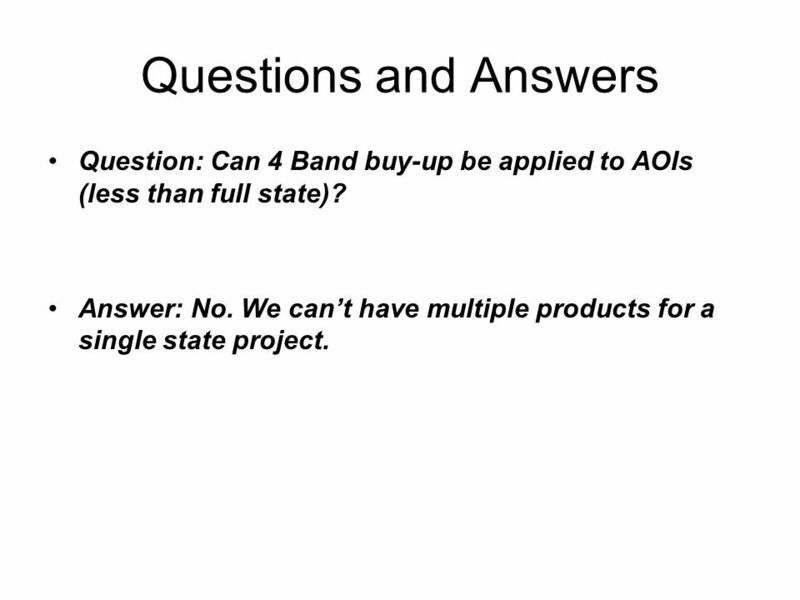 We can’t have multiple products for a single state project. 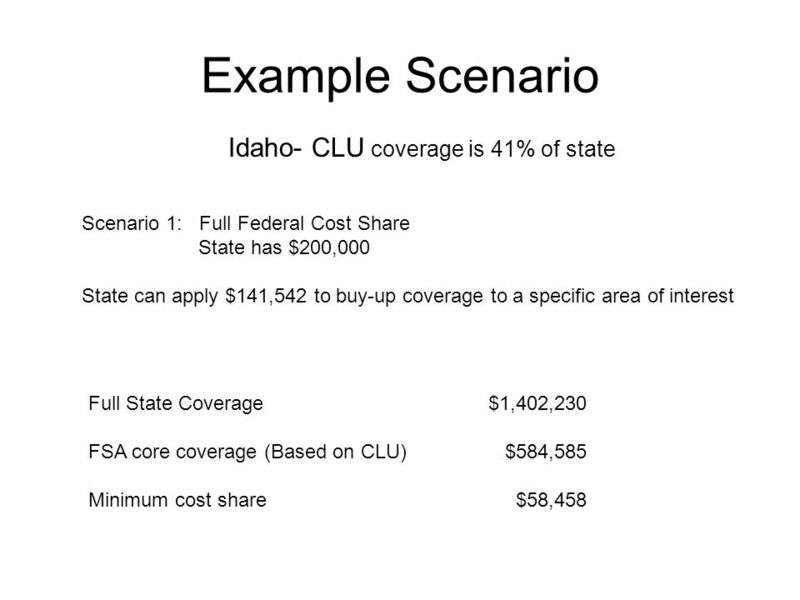 21 Questions and Answers Question: Can coverage buy-up be applied to AOIs (less than full state)? 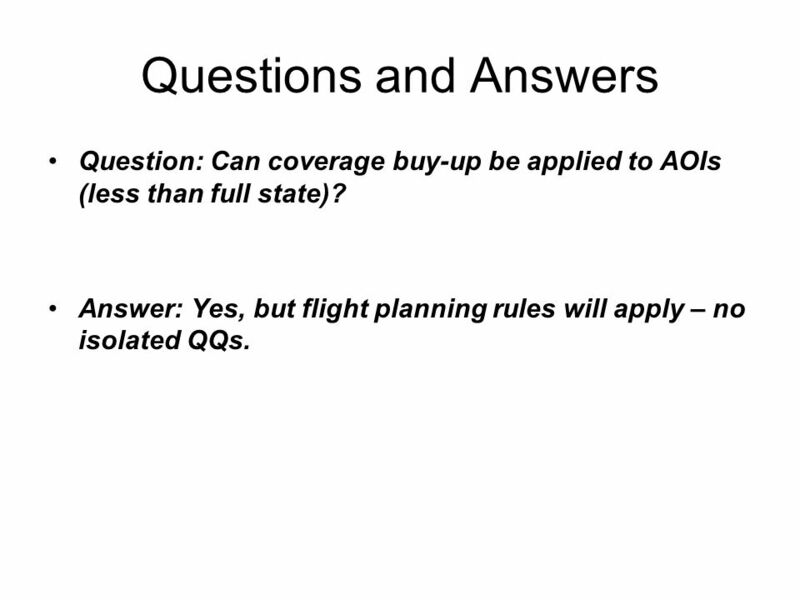 Answer: Yes, but flight planning rules will apply – no isolated QQs. 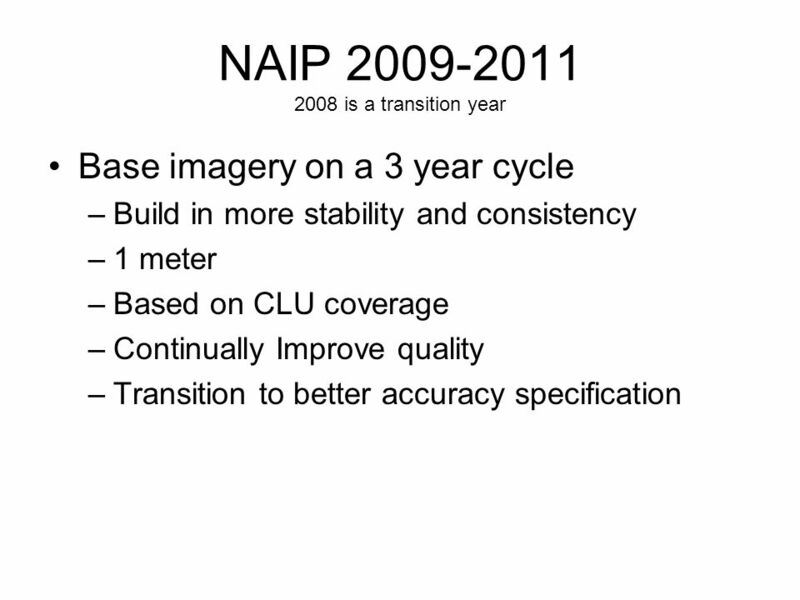 Download ppt "NAIP 3 Year Cycle Presentation to FSA State GIS Specialists June 24, 2008 Kent Williams, APFO." © 2006 San Diego Gas and Electric. All copyright and trademark rights reserved. 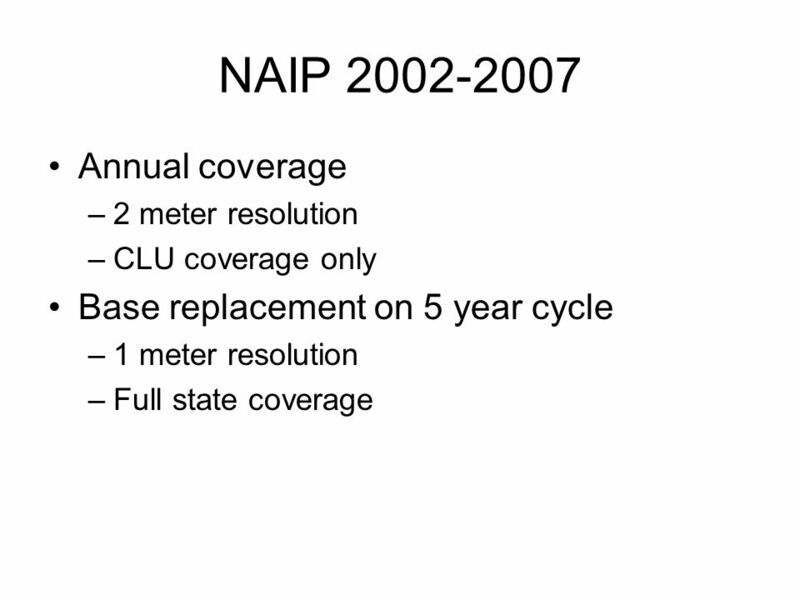 How to fund your Virtualization Project SDG&E 2007 Energy Efficiency Program. Contracting for Primary Care. PCTs will be under a new duty to secure the provision of primary medical services Common principles will apply across. 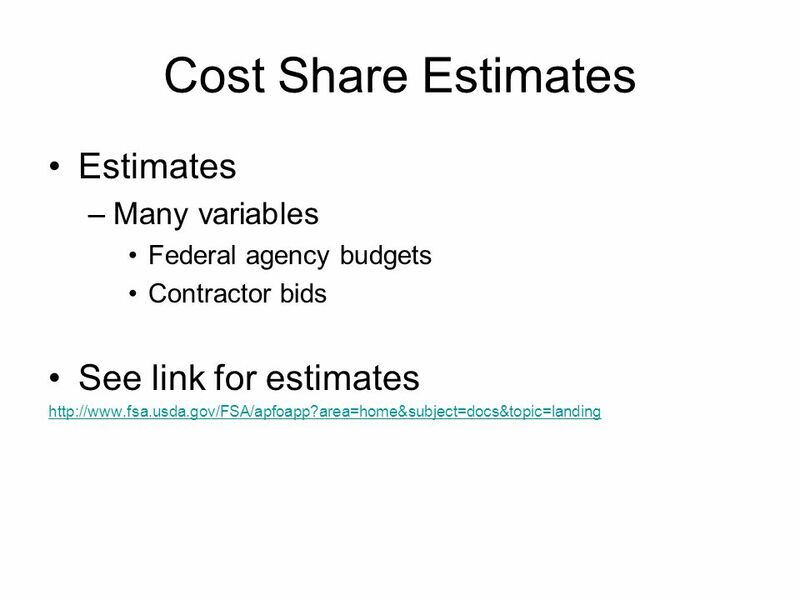 Cost Estimates A Mix of Quotes and Extrapolations Estimating State Wetland Delineation Costs In Vermont David Brotzman VCGI Aug. 3, 2006. National Environmental Status and Trends (NEST) Indicator Project Region 3 State Meeting May 12, 2009. 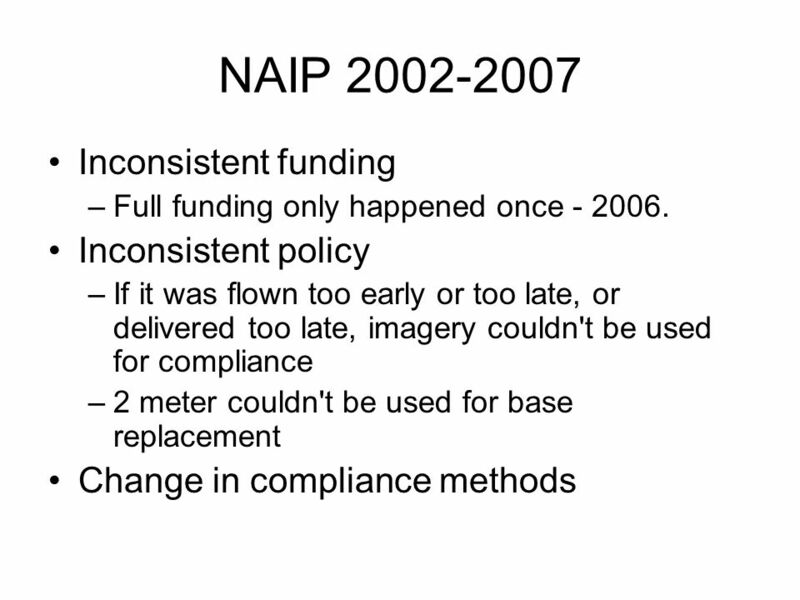 2008 NAIP Orthoimagery Update Chris Cialek MN Land Management Information Center May 7, 2008. Output Consultation Plans and Statistical Disclosure Control Strategy developments Angele Storey and Jane Longhurst ONS. January, Seminar Agenda 1.Welcome & Introductions 2.Program history VBMP details 4.Base offerings / Pricing 5.How to order from VGIN & Sanborn. 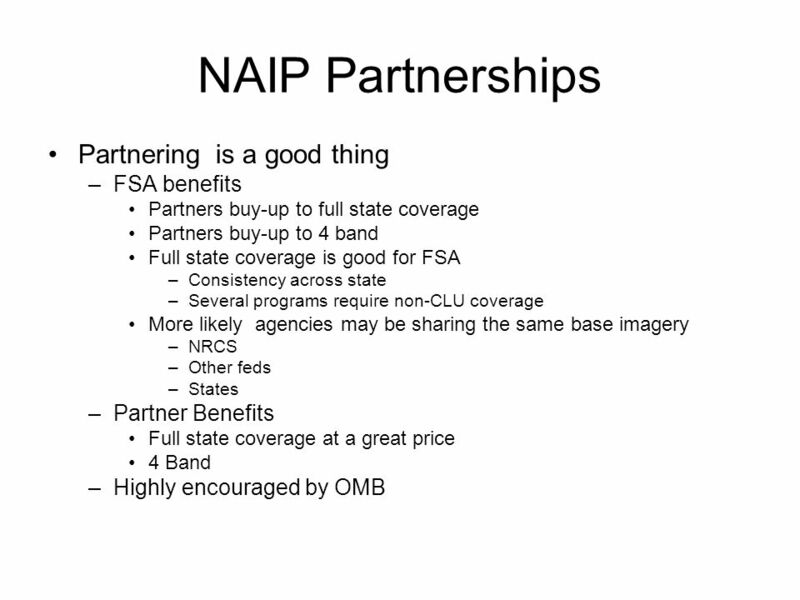 Virginia Non-Agency Monitoring Program Overview of How VADEQ Incorporates Submitted Data. The Farm Service Agencys National Agricultural Imagery Program (NAIP) Presentation for the U. S. Geological Survey Eastern Region Geography State Cooperators. - 1- Just enough. Just in time. Just for you March 24, 2011 Building a solid foundation: A new approach to ERP acquisition March 24, 2011 Mike Reyna Project. DNR Helicopter Use and Cost Proposed Final Report Joint Legislative Audit & Review Committee January 5, 2011 John Bowden, JLARC Staff. COURTNEY MCELHANEY, M.P.H. PLANNER, BVCOG Core Medical Services and Reallocations. Human Resources Mission Statement To create and deliver exemplary and innovative Human Resource and Risk Management services, processes, and solutions. 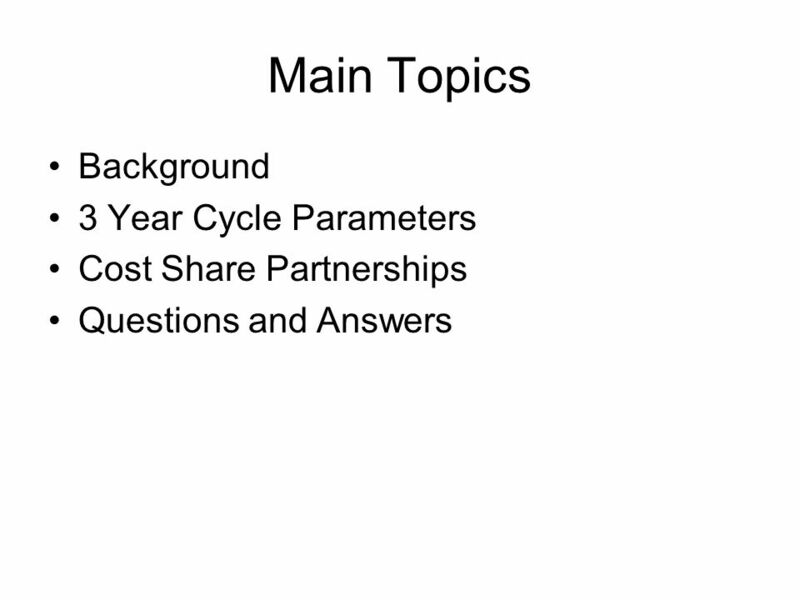 How to include Section 508 in acquisitions, grants, and business initiatives Gary M. Morin, NIH Section 508 Program, Analyst. Local Housing Assistance Plan Amendment State Fiscal Years Board of County Commissioners August 5, 2014. MOASBO Presentation Outsourcing Substitutes October 19. 2015.